Duck is a versatile meat which is enjoyed for its rich, tender meat the world over and can be found in both fresh and salt water. The mallard is a popular species of fresh water duck which has been domesticated and used in varies cuisines around the world. The meat from the bird is often taken from the breasts and the legs. The meat on the legs is often darker in colour and fattier than that of the breasts although the meat in the breasts is still darker than that found in chicken and turkey. Duck is mostly associated with Chinese culture and cuisine, one of the most prominent dishes being peking duck which is served with cucumber and hoisin sauce wrapped in a tortilla like pancake. What vegetables go best with duck? Roast vegetables make a great accompaniment to duck meat especially cabbage served with a sweet and sour sauce. The French dish Duck à l'orange is a well known recipe using duck served with an orange sauce and array of vegetables. How do you cook duck and for how long for? 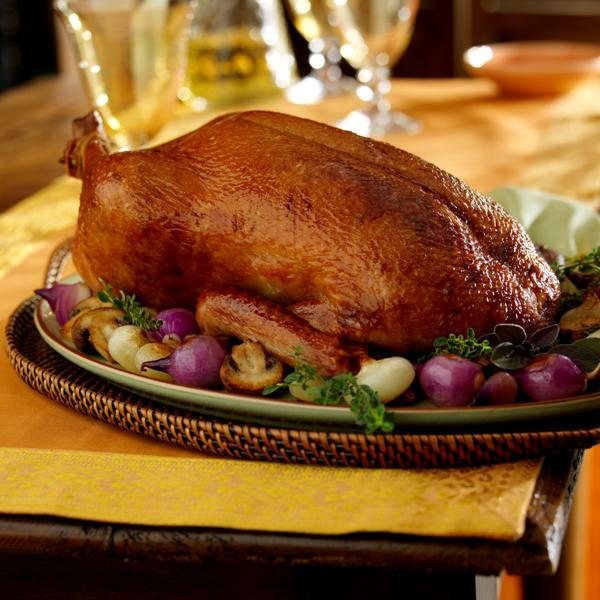 Duck can be cooked in a myriad of ways but is usually roasted or part roasted in the oven to help crisp up the skin. Duck can also be boiled – balut, a bird embryo which is eaten from the shell - and in some dishes the bird will often be marinated first before cooking – duck confit, duck legs which are rubbed in salt and marinated with herbs such as garlic before being poached. If you plan on roasting a duck place the meat on a roasting tray, breast side up and pour a cup of boiling water over the duck and in the roasting tray. In a preheated oven it will typically take approximately 3 hours to fully cook turning the meat every 30 minutes or until it’s brown in colour and of a crispy texture. What can be used to season duck breast? Duck breast is best seasoned with salt and ground pepper before being cooked. Can duck be cooked in a slow cooker? Duck à l'orange is best cooked in a slow cooker. Season the duck with some salt and ground pepper and layer the meat with vegetables and along with oranges, apples and onions in a 3.5- to 6-quart slow cooker. Pour over orange juice concentrate on top, cover and set on a low heat for 8-10 hours or until the duck is tender. Once it’s been cooked remove from the slow cooker and discard the fruit and onion.